Christopher Olszewski is a Native American visual artist and is currently a professor at the Savannah College of Art and Design. 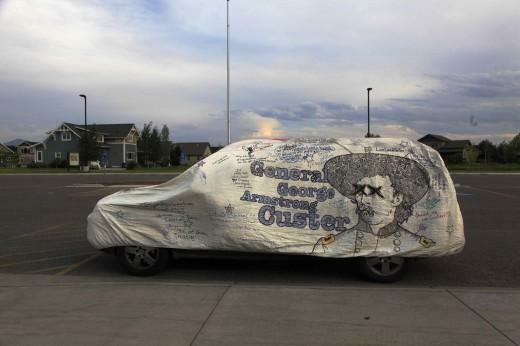 His project is a visual investigation into the Native American experience by tracing the footsteps of General George Armstrong Custer from Monroe, Michigan to Little Big Horn, Montana. 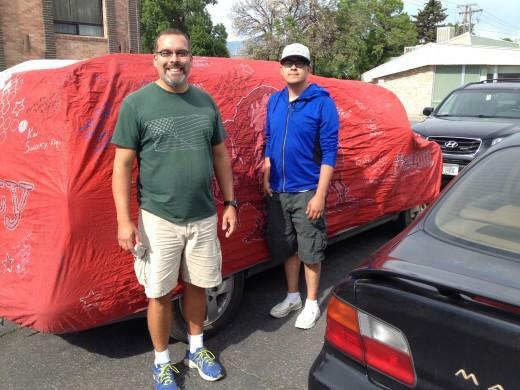 He is driving a 2005 Pontiac Montana, which has be on display with a vinyl car cover at each location. The covers are painted and decoration with corporate logos, text and colorful design imagery. 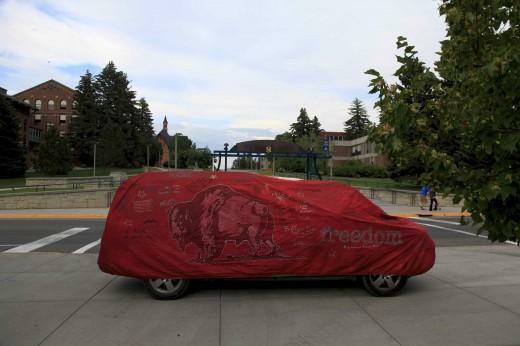 The public are invited to add to the drawn painted narratives that the cover (skin) collects from location to location, he was in Bozeman on July 14th. 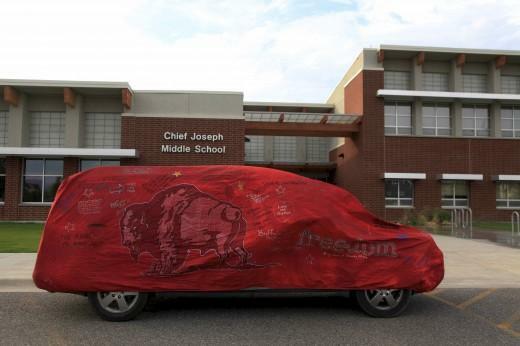 When the journey is complete, the vinyl car covers will be the foundation for Olszewski’s visual exploration and used for exhibitions.